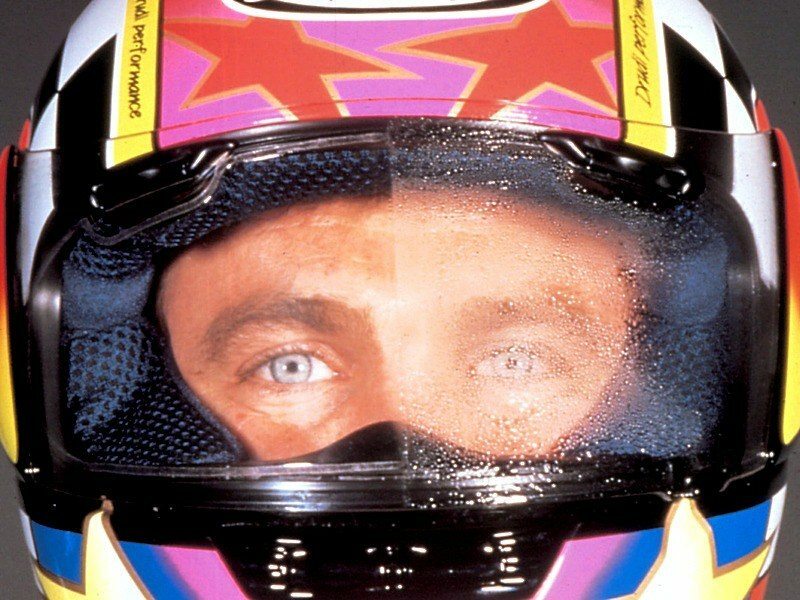 It is irritating as driving in the cold, wet weather with a steamed up helmet glass which hinders your vision and poses threats to the riders. In case you are short sighted, the danger is doubled because fog makes your glasses blurred too. There are a couple of solutions for this nightmare in which stopping breathing is the most popular. However, it is not reasonable when traveling on the long road. Here are some tips to avoid mist on your helmet in the foggy weather. Before we have solutions for this problem, we have to find out the scientific reasons behind this phenomenon. The fog, rain and wind lower the temperature of your glasses, and when you breathe, the moisture from your breath will condense on your glasses and the moisture will transform to the mist, blurring the glass. The same phenomenon appears when you sit on a car in this wet moist weather. The helmet will enable users to control the level of cracking the glass. You can open the glass wider to get all the air you exhale away from your helmet. On the top of the helmet, few ventilation holes are designed to help riders to deal with this case. Opening the screen can release all the air you breathe in and out, the mist cannot condense on the visor, and modify the ventilation holes can force the air out. However, this is still another problem with the short-sighted people. Then, you lost the first protection shield, the wind and rain can blur your glasses. Rain can splash into your face and your glasses, there is no point opening the visor. Some people just choose to let the screen open to an individual level; just a bit which is enough to get all air away but safe from rain and wind’ effects. Please open all your vents to let the wind seep into your helmet and take all the mist away. You should wide open all ventilation part around your chin. As you ride at a fast speed, the wind can help you release all the unexpected mists. 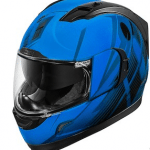 If your helmet equipped with nose guard, you can use it to direct the air exhaled downwards and away from the visor. There will be second glass shield behind your primary screen to separate two parts and prevent any air emitted penetrated in the second visor. The new method for riders, but not every screen is capable with this pin lock. The pin lock is typically more expensive than a replacement screen. You probably throw away your current helmet to purchase another latest helmet series compatible with this pin lock. A substitute spare part for Pin lock. A thin pure sheet to stick inside the visor. Its role is the same to the pin lock, to prevent any mist blurring your eyes. A good choice for the current version of helmets where Pin lock is not available. A tool to control the air exhaling from your nose to come down and resolve. This mask will cover your nose and your mouth. A cheaper than the Pin Lock option, but it is not compatible with the flip up helmets. Increase the temperature of the drinks can remove any differences in the temperature between outside temperature and our warmer body temperature affecting on our glasses. The technique is getting your motorcycle warm up; go back to your home. While donning a helmet, please put your glasses on a hot radiator. Then put on the warm glasses and close the visor before coming back to your bike under the cold weather. Your glasses will remain warm during the travel and avoid any mists.